Whether you’re in high school, entering college as a freshman, or rounding out an advanced degree, these apps should be at the top of your back-to-school shopping list! There are a lot of apps and websites that are decidedly unhelpful when it comes to school. Netflix, Facebook, Twitter, and even Wikipedia can quickly become methods of procrastination when you really should be focusing on your work. The solution to this problem isn’t to revert back to pen and paper or to move yourself to an off-the-grid house far, far, away from any kind of electronic distraction. As much as it can seem tempting to totally disconnect while working on your schoolwork, it’s actually not the most productive approach, as many class projects, research assignments, and group work now require computers and the Internet. Thankfully, there are tons of websites and apps that can enhance your education rather than hinder it, and this collection of 20 apps and websites is full of ways to stay organized, motivated, productive and successful over the course of an entire day at school. Getting your day off to a good start is key when it comes to school — if you aren’t feeling motivated, well rested, and happy when you wake up, it can be a struggle to get anything done! That’s where these apps come in. Let’s face it, getting enough sleep when you’re in school is hard! Between late-night study sessions and early morning classes, it can be impossible to get the amount of sleep you should. If you can’t get a full night’s sleep, you should at least try to make the waking up process as easy as possible — and that’s where SleepCycle comes in. There are a lot of effective alarm apps 4 Yawn-Stifling Alarm Apps to Make Sure You Get Up in the Morning 4 Yawn-Stifling Alarm Apps to Make Sure You Get Up in the Morning Tired of waking up late, struggling to pull out of bed every morning? You aren't alone. Read More that make sure you’ll get up in the morning, but SleepCycle takes it one step further. Place your phone on the top corner of your mattress while you sleep, and SleepCycle will monitor your sleeping patterns — only waking you when you are in a light sleep stage. SleepCycle ensures that you will always feel well-rested when you wake up, even if you’re waking up several hours sooner than you’d like. It’s important to start the day knowing what’s in store for you as the day goes on. Use a comprehensive to-do list like Any.do to make sure that you’re aware of all the tasks you need to complete, errands you need to run, and places you need to be before you leave your room. Any.do makes it easy to break tasks down into smaller sub-tasks, sort to-do items by priority, share to-do items with other users, and to synchronize all of your lists across devices. No matter what your major is, it’s important to stay up-to-date on current events, both in your field and in your community. Feedly lets you curate feeds that bring you all the new posts from any website, blog, or online newspaper that you like to follow. Feedly lets you quickly scan your top sites over breakfast (or while you’re still in bed, no judgment) without visiting each site individually or getting distracted browsing the web. Sometimes when you look around the classroom, every screen you see shows a different webpage — and most of them have nothing to do with the course. If you are someone who likes taking notes on your computer or tablet, here are three great apps to keep you focused and productive during class time. While there are a lot of different apps out there that are meant to help you stay focused, Forest is one of my favorites. Instead of locking you out of websites completely or just tracking the amount of time you’re spending online, Forest encourages you to stay focused by growing a virtual tree. It takes a minimum of thirty minutes for your tree to grow and be added to your Forest, and if you check your phone or visit a blacklisted site within that time frame, the tree will die. Each time you grow a tree to adulthood, you are awarded coins that can later be donated to planting an actual tree in Namibia or India. This app is perfect for avoiding your phone and its distractions during class, studying, and while visiting with friends. When your professor is highlighting a key point in class, you may want to be sure that you can get down exactly what they are saying word-for-word. While the most effective method of note-taking is certainly not to take down everything your professor says, it can come in handy for short bits of information. Instead of trying to transcribe their lecture, why not set your phone out and have Dragon Dictation do most of the work for you? There are some tricks to using Dragon Dictation effectively Stop Typing: Better Learn To Dictate Text with Dragon Dictate for Mobile Devices [iOS] Stop Typing: Better Learn To Dictate Text with Dragon Dictate for Mobile Devices [iOS] Nuance's iPhone apps, Dragon and Dragon Search have been available for free download for over a year now. Since then, the company has added a few other similar voice to text apps to its line... Read More , but when it’s working correctly Dragon Dictation will record and transcribe up to sixty seconds of audio that can be sent to email, notepad, or SMS, where you can access it later. Important diagram on the board? Not enough copies made of an important handout? Use CamScanner to immediately transform an image into a PDF file that can be easily integrated into your documents for future use. Not only that, but CamScanner also has several features that allow you to interact with, share, and edit your files more efficiently than other existing apps. There is nothing more frustrating than group projects. However, they will be a part of your educational experience, so it’s best to make the process as easy as possible. Use these three apps to keep your grades intact no matter who is in your group! Probably the most infuriating part of any group project is trying to establish a time when all members of your group can meet. Doodle’s one and only purpose is to make the impossible possible by providing a visual schedule that highlights the times that work best for the most members of your group. Send out the link, have people input their schedules (or sync them to their preferred calendar app!) and preferred meeting times, and then let Doodle come up with the perfect time for your group to get together. Okay, okay, I know that everyone knows about Google Docs. It had to be included in this list, though, because there are so many ways students can use Google Docs Google Docs Adds-Ons For Students: These 5 Will Help You Write A Paper Google Docs Adds-Ons For Students: These 5 Will Help You Write A Paper Word-processing for students has long been the domain of Microsoft Word, but the recent release of add-ons is making Google Docs an appealing free option. Read More ! When it comes to group work, there really isn’t any other web-based interface that can so universally facilitate group work on documents, spreadsheets, and presentations. Everything is stored online and can be completed in real-time, with an incredible number of opportunities for interaction through chat, comments, and revision histories. Google Docs removes any worries about software incompatibilities, people having different operating systems or sharing files back and forth through email. Instead, it provides a hassle-free collaborative workspace. 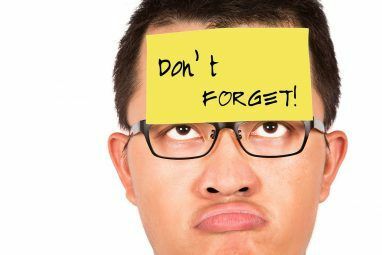 Another huge component of group work is making sure that everyone knows their role, and gets their tasks done on time. Instead of sending constant reminder texts or hoping that everything comes together in the end, Kanban Flow is a great, visual way to increase personal and team productivity. This visual representation of a multi-user to-do list allows real-time collaboration (with mobile support and easy methods for attaching documents) that is structured enough for people to know what they should be doing, but flexible enough to adapt to any changes that may happen. It’s common for students to stop taking care of their health, especially when things get stressful. Unfortunately, this is one of the worst things a student could do! Staying healthy allows you to be more productive, happier, and to perform better in school overall — students should be making their health a priority, not an afterthought. These apps help to take a lot of work out of staying healthy, and should leave you feeling energized, hydrated, and focused. It’s definitely a challenge to find time to work out, but it’s not impossible! Even if you only have five minutes to dedicate to working out, that’s better than nothing when it comes to keeping you healthy. Sworkit is one of the best ways to make the most out of any time you have. Enter the amount of time that you have into the app and your preferred kind of exercise (Strength, Cardio, Yoga or Stretching) and the app will then guide you through a selection of exercises that you can complete in the time that you have available. It’s important to exercise, but it’s even more important to make sure that you are fuelling your body with healthy, nutritious food. While MyFitnessPal is best known as a calorie counting app for the sake of weight loss, it is also a great way to make sure that you are getting all of the nutrients that you need. This app is a great way to track the foods you eat (MyFitnessPal has one of the biggest food libraries on the internet). Make sure that you’re eating your vegetables, and drink enough water — these will help you function better at school too! Staying active isn’t just about working out — it’s also about making sure that you don’t sit at a desk all day, which is all too easy to do when you are studying all day! There are a lot of apps that can track your steps Use These 5 Apps to Walk More and Improve Brain Health Use These 5 Apps to Walk More and Improve Brain Health We are all desperately searching for ways to improve our brain function -- but it might be as simple as going for a walk around the block! Read More throughout the day, but Moves is one of the best ways to have a picture of what your activity looks like day-to-day. Moves works with your phone to track your steps, your kind of activity (including running and cycling), and your location, and will send you notifications throughout the day if you have been sitting still for too long. Writing papers can quickly become an overwhelming part of your coursework. Use these apps to keep your information organized, your citations correct, and the whole writing process as painless as possible! Researching a paper can be one of the most frustrating experiences possible, especially if you’re left with a bunch of disorganized PDFs scattered all over your desktop. Instead, download Mendeley — a PDF organization app and social media website intended for researchers and students. Follow researchers whose work you are interested, store and save PDFs in a centralized location, annotate them with any notes you may want, and create automatic citations that conform to any style guide. It’s really nice to have a friend on hand to read over your papers before you submit them — but what if your essay-reading friend is busy with their own assignments? Enter Hemingway, a website that will give you a detailed breakdown of your writing and give you hints on what you should be paying attention to in your edits. It isn’t a perfect substitute for another person, but it’s a great way to recognize bad habits in your writing and any typos or spelling mistakes that you may have made. When you’re spending all your time on the go it’s important that your phone is equipped with the apps you need to be prepared for anything at a moment’s notice. These apps will make sure that you are always equipped to handle any kind of surprise – whether it’s a threat to your safety, an unexpected purchase, or a health emergency. Many schools now have great walk-home services that can make sure you get back to your dorm safely after a late night class. If your school doesn’t offer this option, or if you’re somewhere out of range of this service, Circle of 6 is an alternative way of ensuring your safety. Open the app before you leave, and it will bring up the contact details of six trusted friends that you have pre-selected. If you find yourself in trouble, it only takes two taps to send a text to these friends with your exact location, to call emergency services, or to look up information on health and safety topics. Finances aren’t anyone’s favorite thing to talk about, but it’s a lot better to be aware of a bad financial situation than to be caught off guard by problems down the road. Managing your money with Mint How To Use Mint To Manage Your Budget & Spendings Online How To Use Mint To Manage Your Budget & Spendings Online Read More is easy to do, connected with your bank accounts for accurate and up-to-date financial information, and it is a great way to set (and stick to) a budget. It goes without saying that studying will take up a big part of your time this school year. These apps can help you study more efficiently, helping you to boost your marks, retain more information, and free up some time for activities you actually want to do. The Pomodoro Technique is well known for being one of the most effective ways to complete on-going tasks that require concentration. The technique requires you to work for a set amount of time (generally 25 minutes), before taking a short break (generally 3-5 minutes). After four sets of this (two hours total), you are able to take a longer break. These apps allow you to customize your work/rest intervals, and automate the intervals as well so that you stay focused on your work, and not on the timer. While they don’t work in every subject, Flashcards can be absolutely invaluable. This app is a great option for flashcards because it synchronizes across devices, allows you to embed media, and enables you to customize your card layouts and timing. Anki has combined all the best parts of creating flashcards by hand with some of the best parts of technology, and the combination makes this app a studying essential. A note of caution — the iOS mobile app does require a purchase, so try the desktop version alone before deciding whether or not you need a mobile version of your flashcards as well. Struggling with a complicated concept or a course that doesn’t seem to have any coherent outline? Create one yourself using the Web-based mind map program MindMup. This program is incredibly easy to use, with an interface that allows you to work on your mind map in real time with other users, save your mind map to Google Drive or Dropbox, or use its “completed” notice to mark off the branches that you no longer need to study. 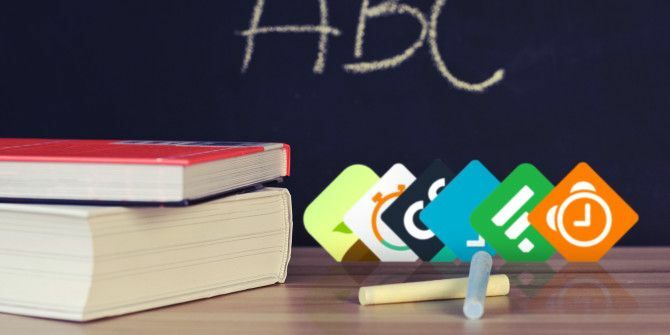 No list of study apps would be complete without a shout out to the huge number of free language learning apps The 8 Best Language Learning Apps That Really Work The 8 Best Language Learning Apps That Really Work Want to learn a language free? These are the best free language learning apps that will have you speaking a new language before you know it. Read More available for those studying another language at school. There are a huge number available (with frequent updates making them nearly as good as any paid language learning programs! ), so take the time to pick out the one that best fits your learning style and language of choice! The fact of the matter is that our electronics, and the Internet, are here to stay in schools. Instead of letting them be a distraction, it’s far better to ensure that we are using these incredible tools as powerful sources of information, motivation, and inspiration that they can be. Before heading to your first lecture, be sure you download any of these apps that sound like a good fit for your studying style and academic goals — and please report back and let us know how they worked! What are your favorite apps to use for school? Are there any great apps that we overlooked when curating this list? Another good tool for students is Nifty (www.heynifty.com). A place for students to keep track of their work when collaborating in groups. It provides an overview of who's doing what and let you share links and files from your favourite productivity tools. It is quiet similar to Trello, but more customized for the needs of students and for free. Thanks so much for sharing that tool, Johannes! It looks fantastic! MindUp is amazing! Sometimes the hurricane happens in my head and this app helps me to put my thoughts in order. 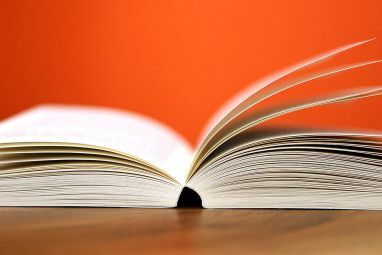 By the way, if to talk about cool add-ons, here is an article http://elearningindustry.com/5-learning-management-system-add-ons-never-thought which embraces all the best. I love using Mindmup too for essays and studying when I'm feeling overwhelmed by a topic or by all the different ideas I want to get out! Trello (https://trello.com) is a good alternative to Kanban Flow, and has Android and iOS apps available. Pretty easy to switch between multiple boards, and can further group boards together. Been using it for a while with no complaints. Thanks Jarrett! Trello is definitely another fantastic option for group work!